This MOD has update ended. The latest version is the merge version (GK Followers). The integrated version has been discontinued. There is no plan to resume. There is no plans to release presets right now. She will be pleased if you use Zenaide as your adventure partner. 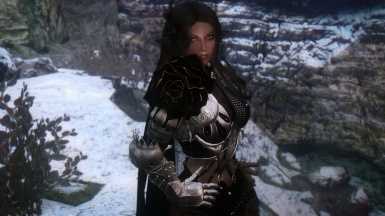 Is there any way you can make a preset because she is STUNNING. So you slapped some elf ears on a dark skinned human and suddenly its a dunmer? What's the name of the armor in most of the screenshots?